This is an entry page for exploration of eukaryotic systematics. The primary feature of the page is a cladogram of eukaryotic lineages with links to information pages for each lineage. 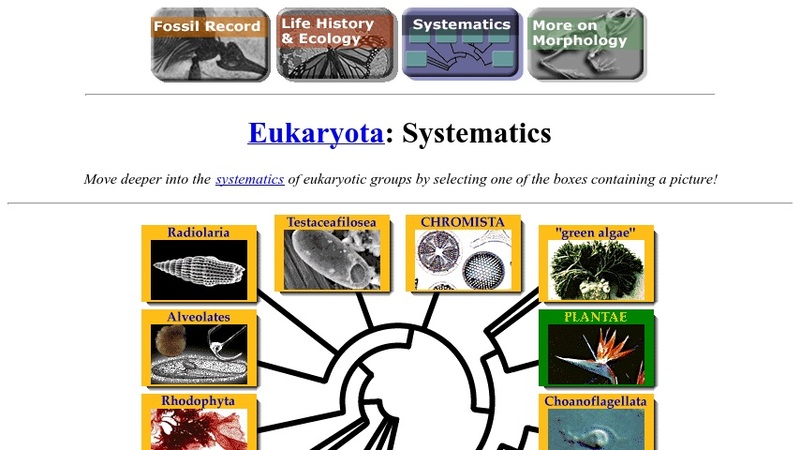 There is also a brief introduction to classification of eukaryotes, a link to a tutorial on phylogenetics and systematics, and links to other resources on eukaryotic biology and classification. The information on this and most linked pages would be accessible to advanced secondary or higher level students.